Exactly. 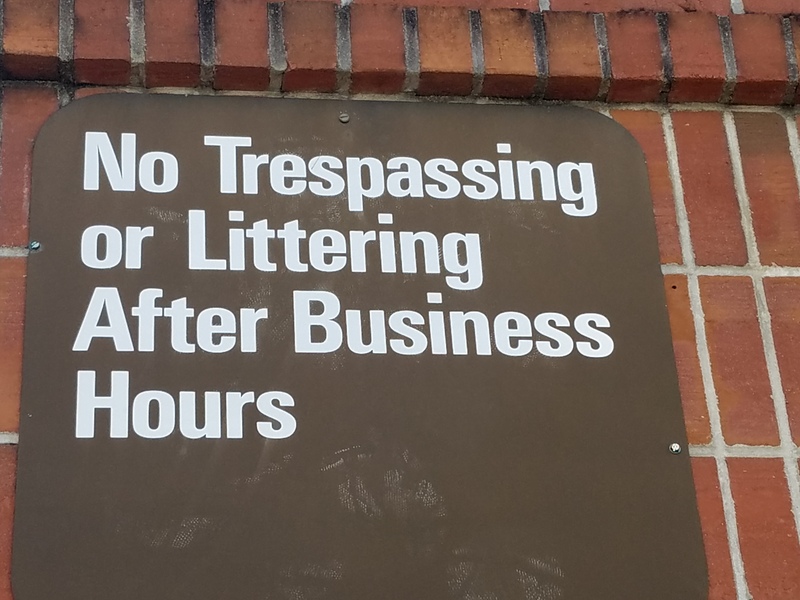 DO your business (and trespassing and littering and get out! So during business hours, OK? "But officer, the business WAS open..."
"In that case, sir, you are free to go..."
What a nice place to let people trespass and dump their litter for free as long as it's done during business hours. *SIGH* Now I have to put in an eight-hour day trespassing and littering.